Excuse all the health kickiness at the moment. There are a lot of green smoothies and lentils, seeds and homemade sauerkraut, kimchi and gluten free coming out of the kitchen right now. I'm being a bit obsessive about it. I have a pretty major photo shoot coming up in about two weeks and I'm determined to be glowing and gorgeous (and a few kilos lighter). I'm shunning lethargy and the odd spot for feeling relaxed and happy, full of energy and free of aches and pains. My place has been sugar free for a week, berries excluded (I'm never giving up berries), and it's already paying off. But I'll talk more about that later. 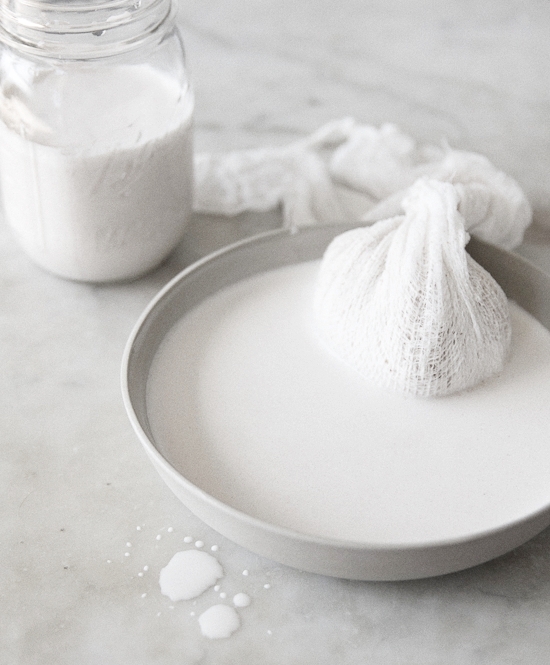 Right now I want to talk about this homemade almond milk. 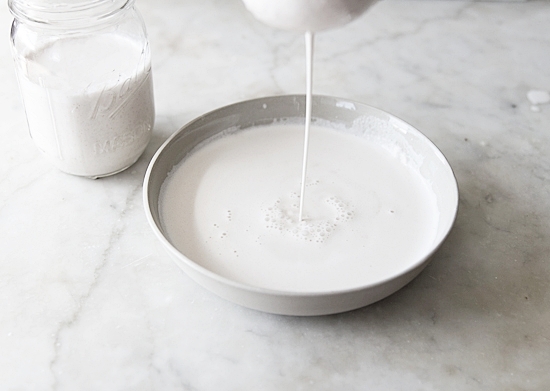 I usually drink soy milk but have included this for homemade cereal mainly. It's totally easy to make with the right gear, and I can recommend the flavour enough. It doesn't have that almond-essence flavour that might deter many, but it's creamy and soft, obviously a bit nutty in flavour. It's delicious. Here's how you make it. 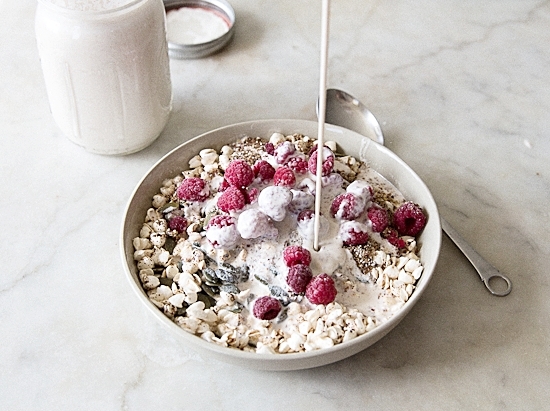 To make enough for one person for 2-3 days, place 1 cup of soaked raw almonds in a powerful blender (I used a Vitamix). Add 2-3 cups cold water to cover almonds by about 1cm. Blend until completely pureed. Pass the mixture through a fine sieve into a bowl or jug (I used a fine sieve and cheesecloth to make mine extra silky). Transfer to a glass jar or jug with a lid and store for up to 3 days, or drink straight away.